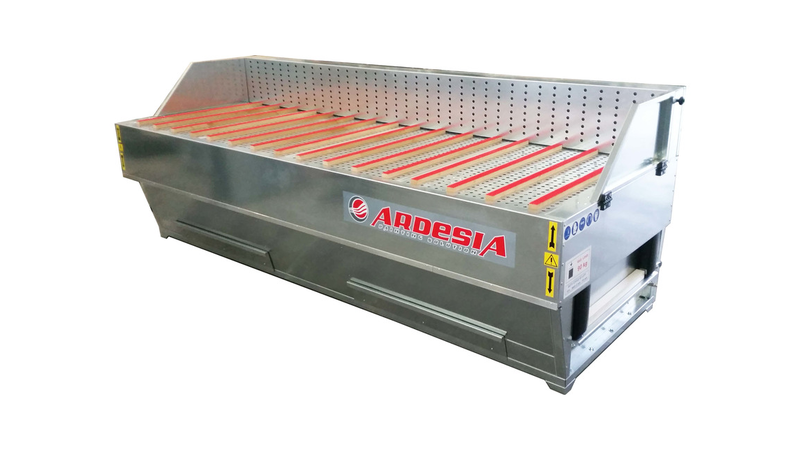 This dust suction bench is suitable for suctioning and removing dust that is released by sanding. The bench is made of press-folded galvanized steel. Its main feature are the anti-static pleated cartridge filters which allow optimal filtering of dust. They are made of aluminized polyester. The bench is equipped with a timed system which cleans the cartridges using compressed air. Dust is collected in two removable trays. Exhaust air is further filtered through acrylic filter cells. The height is electrically adjustable at any time.